Tofacitinib (TFA) was approved for the treatment of rheumatoid arthritis (RA) in November of 2012. It is well accepted that patients studied in pharmaceutically sponsored clinical trials do not always represent the types of patients seen in clinical practice. There is limited efficacy data published on real world (RW) patients receiving TFA. The purpose of this analysis was to assess the efficacy of TFA on patients in a RW setting receiving TFA using the RA registry, JointMan (JM). This database was launched in 2009 with a mission to provide a practical outcome tool to manage patients with RA in a traditional office based clinical setting. This is a descriptive observational efficacy study comparing the outcomes of RA patients on TFA. JM captures RA diagnostic criteria and selected disease features, formal joint counts, DAS 28, CDAI, SDAI, RAPID3, VECTRA, CRP and ESR, Rheumatoid Factor, CCP, medication use, toxicities and reason for discontinuation. Both patient and physician data is collected electronically. CDAI score was used as the outcome measure to define treatment response. Efficacy was compared from the time of initiation of TFA used to the date to their last active encounter date. The mean average of all patients’ CDAI scores at initiation and their last active encounter date were compared using a paired T-Test. A total of 5700 unique RA patients and 133,000 encounters have been recorded since 2009. There were 156 RA patients prescribed tofacitinib, of those 91 had multiple JM encounters. All patients in JM had received at least one anti-TNF agent and the mean number of TNF inhibitor agents used was 1.8. The mean CDAI score at initiation was 25.8 (high disease activity) and at last observation the mean was 19.8 (moderate disease activity). Comparing the means with a paired T-Test resulted in t=3.89 (p=0.002, CI 2.79 to 8.62). The percentage of patients in high disease activity decreased by 21.4 points. The distribution of patients by disease activity are displayed in Table 1. 61% of patients were still on TFA at time of analysis. Mean duration was 212 days. There were 12 missing stop reasons (13%), 32 (35%) had a non-serious adverse event some of whom discontinued therapy and the remainder of patients continued on therapy. The results from this study indicate that patients in a real world setting are prescribed TFA after receiving at least one anti-TNF agent and that TFA reduces disease activity from a CDAI mean of high disease activity to moderate disease activity over a period of approximately 7 months. Most patients prescribed this agent continue therapy. Additional work is needed to identify which characteristics are critical to define variables predictive of low disease activity and remission. Disclosure: S. Schwartzman, Discus Analytics, 9,Dascus Analytics, 1,Pfizer Inc, 1,Pfizer Inc, 5,Pfizer Inc, 8; K. Knapp, Discus Analytics, 1,Dascus Analytics, 3; G. Craig, Discus Analytics, 1,Discus Analytics, 9,Pfizer Inc, 2; K. Ferguson, Discus Analytics, 1; H. Kenney, Discus Analytics, 1,Discus Analytics, 9,Pfizer Inc, 2. Schwartzman S, Knapp K, Craig G, Ferguson K, Kenney H. Efficacy of Tofacitinib in a Real World Setting Using the Database Jointman [abstract]. Arthritis Rheumatol. 2015; 67 (suppl 10). 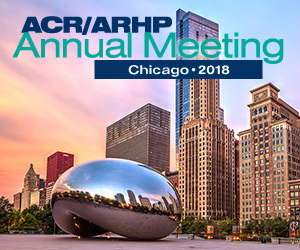 https://acrabstracts.org/abstract/efficacy-of-tofacitinib-in-a-real-world-setting-using-the-database-jointman/. Accessed April 20, 2019.